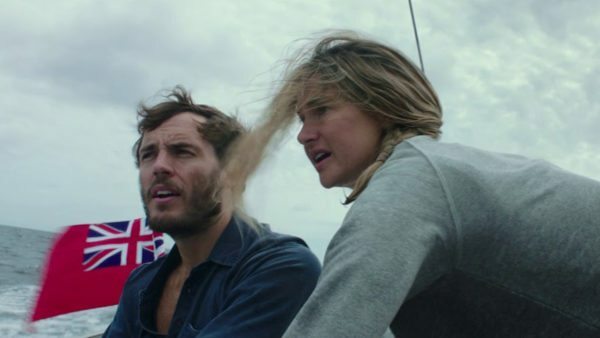 From the director of Everest and starring SHAILENE WOODLEY (Big Little Lies, The Fault in our Stars) and SAM CLAFLIN (Journey’s End, Me Before You, The Hunger Games films), ADRIFT is based on the incredible true story of two young adventurers whose chance encounter leads them first to love, and then to a fight for survival. Setting off on the journey of a lifetime across the Pacific Ocean, Tami Oldham (Woodley) and Richard Sharp (Claflin) are pushed to their limits as they sail directly into one of the most catastrophic storms in recorded history. In the aftermath, Tami awakens to find Richard badly injured and their boat in ruins. With no hope for rescue, Tami must find the strength and determination to save herself and the only man she has ever loved. ADRIFT is an unforgettable story about the resilience of the human spirit and the remarkable power of love. Adrift is set for release on June 1st.